Redesigned to provide a clean, professional look that provides necessary information to potential diners and catering / banquet customers. 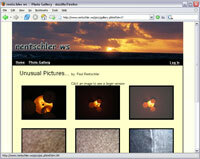 Developed as my personal site to provide online services for myself and my family. 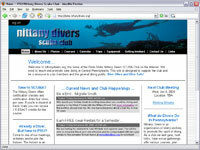 Home to the PSU Nittany Divers SCUBA club, this site provides information to its members and acts as a marketing tool to recruit new members. 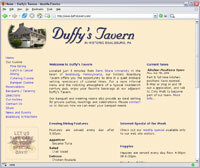 What can you do with a one page site? Lots! The Underwater Hockey division of the Penn State Nittany Divers SCUBA club site provides many details in a single page.